Cart66 takes a different approach from all of the other WordPress eCommerce plugins by including a suite of securely connected services that go beyond what you can do with just a plugin. For example, Cart66 has built-in support for over 100 payments gateways and takes care of all the payment security and PCI compliance for your online store. In this review, we’ll look at how Cart66 is different from other WordPress shopping carts, and explore some of the unique features along the way. In this review, we’ll look at how Cart66 is different from other WordPress shopping carts, and explore some of the unique features along the way. Cart66 doesn’t try to override WordPress with a heavyweight custom post type for products. Instead, you build product pages just like any other page on your site. WordPress manages the design and content while Cart66 brings the shopping cart and e-commerce features to the table. Once you install Cart66, you have everything you need to start selling and accepting payments on your website. You don’t need any other add-on plugins. You don’t have to pick a particular “e-commerce” theme. You don’t even need to install your SSL certificate because Cart66 handles the payment security for you. Whether you’re building a brand new site or you want to start selling from the site you already have, Cart66 gives you all of the tools you need. 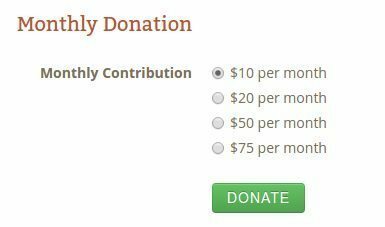 For example, if you already have a WordPress site and you want to accept online donations (recurring or one-time) you can quickly add donations to your WordPress site. Everything will blend in with the theme you already have. Or, maybe you have a blog and want to start selling an eBook. Cart66 handles the secure storage and delivery of digital products for you. So, you can easily start selling your eBook. Here is an explanation of how Cart66 was designed, so you can get an idea of how you can use Cart66. Three main things differentiate Cart66 from other WordPress eCommerce plugins. Features, security, and support all come together. Most WordPress plugins offer the core plugin for free, and then you buy the premium add-ons you want for things like payment gateways, subscriptions, recurring billing, live shipping rates, inventory control, etc. Cart66 is different. You get all the features included together. There are two pricing tiers, so you don’t have to pay for features you don’t need. For example, if you don’t sell subscriptions and you don’t need to store credit card information you can use the lower tier plan. If you want to expand, you can upgrade at any time and get access to more features. But, you never have to install and upgrade lots of different plugins. Since Cart66 builds all of their features in-house, all of the support is in one place too. You don’t have to try to get support from a variety of 3rd party developers. Also, you know all of the features interact properly and work together seamlessly. In addition to a WordPress plugin, you also get access to a suite of secure connected services that go beyond what you can do with just a plugin. For example, Cart66 has built-in support for over 100 payment gateways. You get a secure hosted payment page which makes your website PCI compliant without you having to do anything. 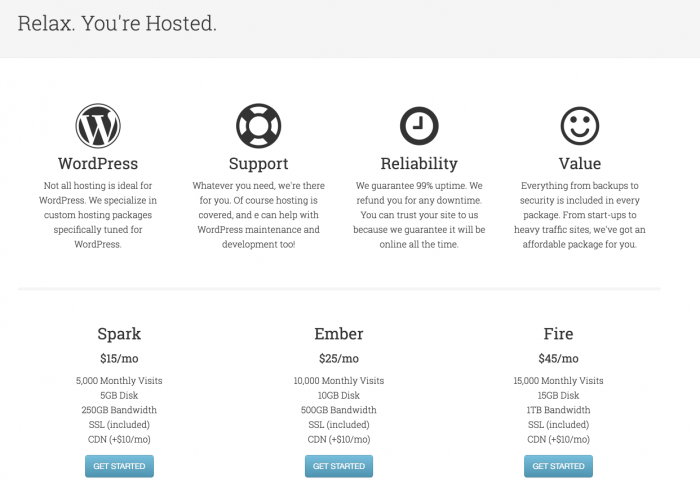 Cart66 skins your hosted payment page with your WordPress theme so your payment page looks exactly like the rest of your site. You get all of the security benefits of an off-site payment system like PayPal, but you also keep all of your own design and branding throughout the checkout process. Here’s how the payment page works in Cart66. WordPress is awesome at managing your content. It’s easy to place sliders, galleries, videos, audio clips, and text exactly like you want. Then, place your product forms or Add To Cart buttons exactly where you want them on any page or post of your site. If you have a long page, you can put the product form in multiple locations on the same page if you want. Here’s a quick video showing how to create a product page in Cart66. Product pages can be used to show lists of products in categories as well as to display featured images. You can also easily add products to any page or post (or custom post type) on your WordPress site. Here is an example of how to add a product form to any page on your site. You can build out product order forms to collect as much information from your customer as you want. Suppose you wanted to sell tickets to an event and wanted to let your attendees tell you what they want for lunch and what their t-shirt size is. Simply add those fields to your product form as product variations. If your venue has limited seating, you can use the inventory control feature to limit the number of tickets you sell. Here is a demonstration of how to use Cart66 for selling tickets to events. Cart66 includes a built-in recurring billing engine that works with all of the 100+ supported payment gateways. This makes it easy to start accepting online donations. You can set up one-time donations or allow your donors to give monthly. Cart66 provides a secure payment page as well as a secure customer portal where your donors can manage their billing information and their donation subscription. There are lots of different ways you can set up your donations to make it straightforward and easy for people to start giving. You can set up a series of radio buttons to let people select the amount they want to give. Another option is to put the donation amount directly on the button. Or, let the donors choose the amount they would like to contribute. You can even set a range (minimum and maximum amounts) that can be entered. For example, you might require a minimum of $5/month donation. This video shows how to start accepting online donations on your WordPress site. Whether it is to manage online donations, subscriptions, saved billing information, or to view secure order history, Cart66 comes with a secure customer portal that keeps all of that information safe and easily accessible to your customers. This makes selling subscriptions and memberships really easy. Suppose you want to sell access to premium content on your WordPress site. You could sell access to premium tutorials, pages with discounted products (like a wholesale store), access to videos that are only available to paying members, etc. There are many ways to use Cart66 subscriptions and memberships. You can even drip out access to the premium content over time. The secure customer portal provides a safe way for your subscribers to manage their accounts. Here is a video showing how the secure customer portal works. Once you set up a subscription, you can use that subscription to sell access to premium content on your site. For example, you could set up a digital magazine where some of the articles are free, and some articles are only available to paying subscribers. You can configure multiple subscriptions, and your customers can own as many subscriptions as they would like. In this video, we take a look at how you can set up two different WordPress post categories to show free articles to everybody and to show premium articles to your paying subscribers. 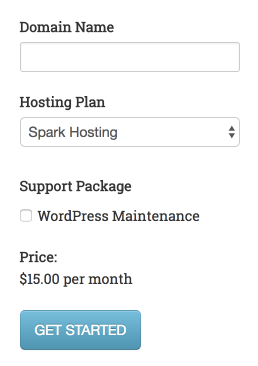 If you are a WordPress developer and you sell web hosting and WordPress maintenance plans to your clients, you can use Cart66 to bill your clients each month for your services. You can set up a page to sell hosting packages like this. Or, you could build a single product form where your customer provides some additional information – like the domain name they want to use – and they can optionally select your WordPress maintenance plan as well. All the details on how to set that up are more than we can go into here, but here is a link to a complete tutorial on how to sell hosting and WordPress maintenance plans to your clients. One more thing that Cart66 includes is a robust customer notification center. You can use this for keeping in touch with your clients by sending them emails at timed intervals based on when they made purchases from you and what they bought. For example, send an email one week after someone buys a watch from you and ask them to review your product. Or, send them a coupon for their next purchase. Or, suggest a related product they might like to buy. Another way to use the customer notification center is to deliver paid content through email. For example, you could sell a 5-day course where each day you email out a lesson. This is sometimes referred to as a drip campaign. There is a full tutorial on how to send sales follow up emails with Cart66. Here is a video overview of how you can use the customer notification center to stay in touch with your customers. There are a lot of things you can do with Cart66. You can sell physical products, digital products, memberships, and subscriptions. You can restrict access to content on your site based on the memberships and subscriptions people have. The suite of secure connected services takes e-commerce to a level that you can’t achieve with a plugin alone. You get a built-in recurring billing engine that works with over 100 payment gateways, a secure customer portal for protecting you customer’s private information, a customer notifications center for staying in touch with your clients via email. All the emails are sent over a business class SMTP server to help ensure they don’t get flagged as spam. If you sell digital files, Cart66 will securely host and deliver the files and make sure that only paying customers have access to them. Since Cart66 hosts your digital products, you don’t have to worry about people linking directly to your digital files and downloading them for free. Also, your WordPress site won’t slow down or stall out during large digital product downloads because Cart66 delivers your digital products over a global CDN for you. There are other included services as well, like MailChimp integration, Google Analytics, and live shipping rate calculations. Do they provide add-ons? I means is the plugin is extensible and developer friendly. Thanks for a thorough review.